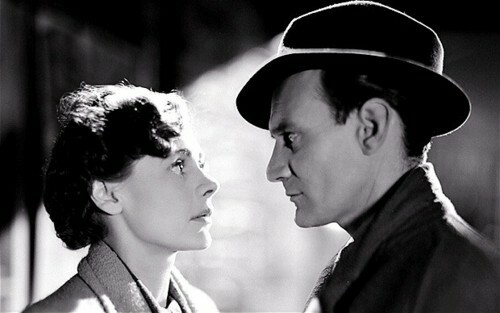 Trevor Howard and Celia Johnson embark on a Brief Encounter. In the 1940s, playwright Noël Coward (Design for Living) and filmmaker David Lean (Doctor Zhivago) worked together in one of cinema’s greatest writer-director collaborations, celebrated in the four-film Blu-ray and DVD collection David Lean Directs Noël Coward. Beginning with the 1942 wartime military drama movie In Which We Serve, Coward and Lean embarked on a series of literate, socially engaged and undeniably entertaining movies that ranged from domestic epic (This Happy Breed) to whimsical comedy (Blithe Spirit) to poignant romance (Brief Encounter). This action film tells the tale of a group of Royal Navy sailors (Bernard Miles, John Mills and Coward himself) fighting the Germans in the Mediterranean. Coward and Lean co-directed the large-scale movie. An epic chronicle of a working-class family in the London suburbs over the course of two decades, This Happy Breed stars Robert Newton (Oliver Twist) and Celia Johnson (Brief Encounter) as a couple with three children whose modest household is touched by joy and tragedy from the tail end of the First World War to the beginning of the Second. Lean’s film version of Noël Coward’s theater sensation (on stage, it broke London box-office records before it hit Broadway) stars Rex Harrison (My Fair Lady) as a novelist who cheekily invites a medium (Margaret Rutherford, On the Double) to his house to conduct a séance, hoping the experience will inspire a book he’s working on. In this movie, a married doctor (Trevor Howard, The Third Man) and a suburban housewife (Celia Johnson,This Happy Breed) have a chance meeting on a train platform and enter into a muted but passionate and ultimately doomed love affair.